Elena provides continuous support from the onset, to the resolution of the claim. 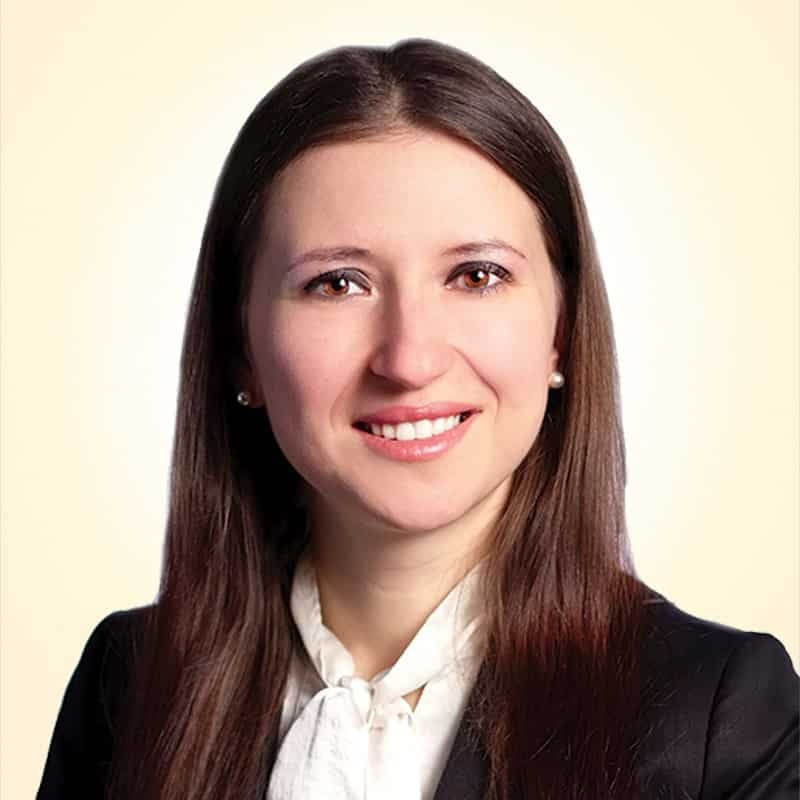 Elena is a Personal Injury Law Clerk at the firm, working closely with HSH Managing Partner, David Levy. Elena graduated from Tyumen State University with a Bachelor of Arts Degree in 2006, majoring in English and Linguistics. In 2014, she completed a Continuing Education Program at George Brown College with her Legal Assistant Certificate. Elena continues to advance her education and is currently studying at the University of Toronto. She joined the firm in 2011, having worked as an Accident Benefits Clerk and a Legal Assistant at a paralegal firm, specializing in Accident Benefits and personal injury litigation. Elena is a detail-oriented professional, dedicated to providing exceptional service to clients throughout the litigation process. She responsibly addresses the clients’ inquiries and apprises them of the claim status while providing continuous support and assistance from the onset, to the resolution of the claim.